I have a new student. Early advanced, learns a new 4-5 page piece in one week, note-perfect. I can tell that his previous training has been good – he knows his stuff. Except for technique. His technique isn’t bad in the way a student’s technique is so often bad: floppy, mushy, undefined, collapsing joints and the like. Instead, his technique is very limited, and therefore limiting: even when he tries to play softly, he only knows how to play with a sharp, aggressive, percussive touch. He is aware that this is limiting, he just doesn’t know how to change it since this percussive touch is all he knows, all he was ever taught. Perhaps due to his age – middle school – he strongly dislikes soft and/or slow pieces, prefers instead loud and fast, the louder and faster the better. Beethoven and the Romantics, yes please. We are working on some smaller, shorter pieces with specific technical challenges, and also on large masterworks. I try to satisfy his immense hunger for The Big Sound while slowly working to broaden his horizon where it concerns nuanced touch. A big part of this involves listening, very active, involved listening, and constant (mostly …) evaluation: is this the sound I want for this part? If not, how can I change it? Changing a student’s technique is like braces to straighten teeth: it’s a long-term project. But at least with braces, one sees that this is a work in progress. As long as someone is wearing braces, nobody would fault the orthodontist for the person’s not-yet-straight teeth. Many years ago, I knew of a very respected and well-known piano teacher whose middle-school aged male students entered a lot of competitions and had a reputation for playing very difficult literature with technical ease but an obvious lack of expression. The teacher was quoted as saying, yes, it’s a phase, they’ll grow out of it (and back into more expressive playing), but does that mean that for this time period they should not perform/compete? This entry was posted in Uncategorized on February 19, 2016 by Sibylle. I have always loved coloring books, long before they became so popular that bookstores now dedicate entire shelves to them and have special displays all through the store. Many years ago, when my students studied Verdi’s Aida we used the Ancient Egypt coloring book published by Dover. When we listen to The Song of the Unicorn, we color pages from Life in a Medieval Castle and Village. 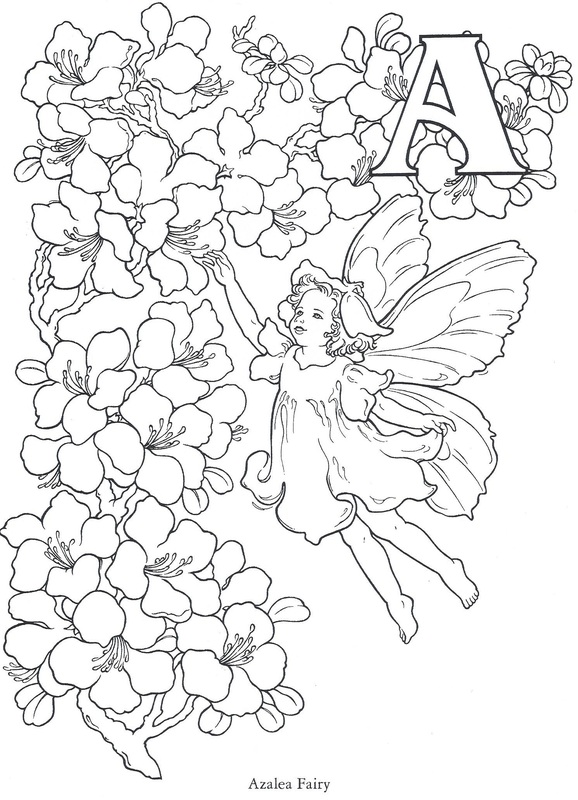 My beginning students who study the Musical Alphabet get to color the Garden Fairy Alphabet. One of my favorite features of the Kodak software that came with my camera, a very long time ago, was that I could turn any photograph I had taken into a coloring picture. 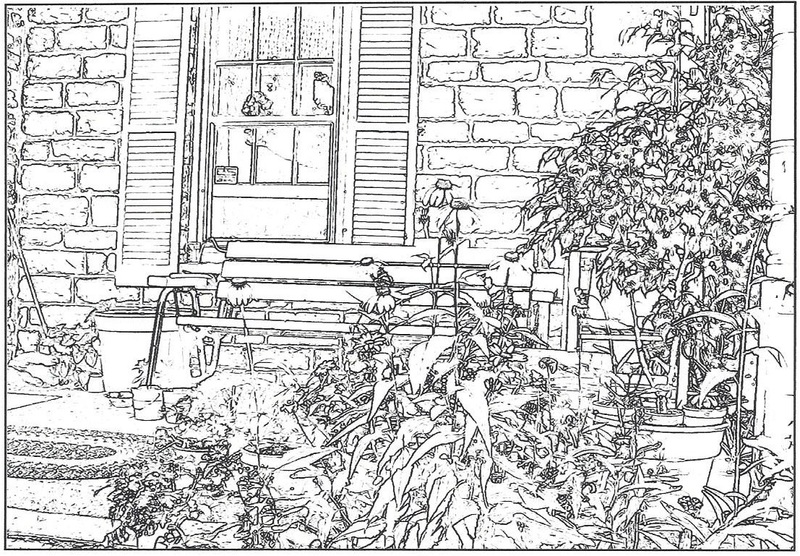 Many years ago, I took a picture of the front porch of my then-studio and turned it into a coloring picture. 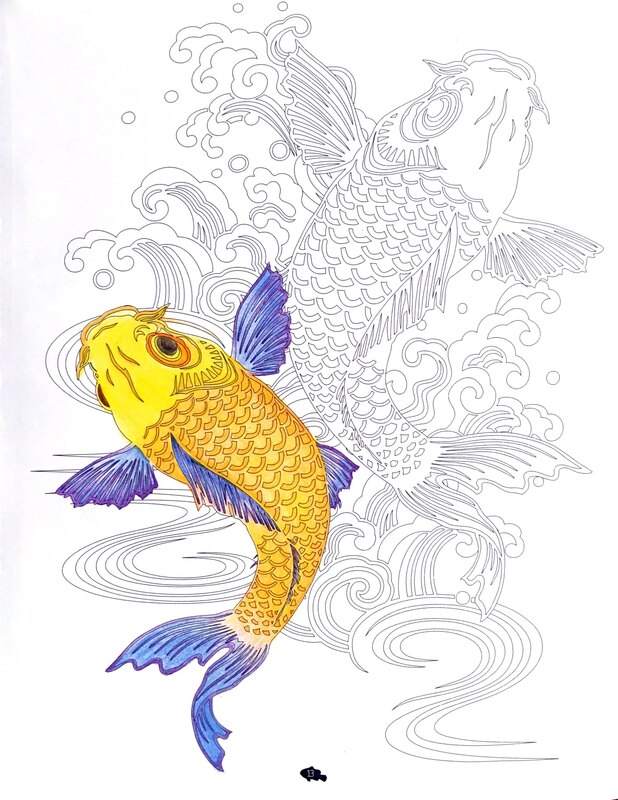 Several years ago, when I spoke with my mother about art, and painting, I somewhat sheepishly admitted that I liked coloring books so much that I sometimes sat down and colored a picture I had found or created for a student – this was before the age of coloring books for adults. My mother chuckled and said that she did the same. 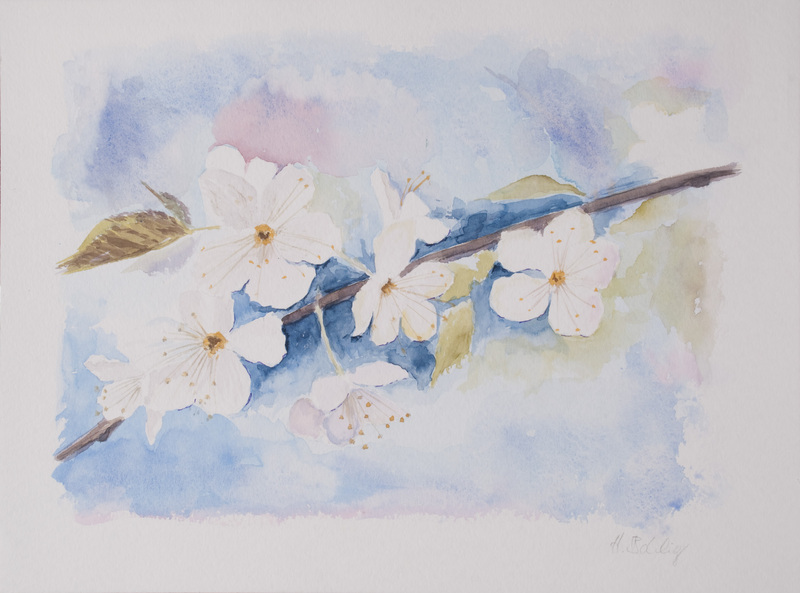 Before retiring, my mother had started to resume painting and drawing, and after retiring, she dedicated much of her time to traveling, painting, and attending workshops, focusing mostly on watercolors. 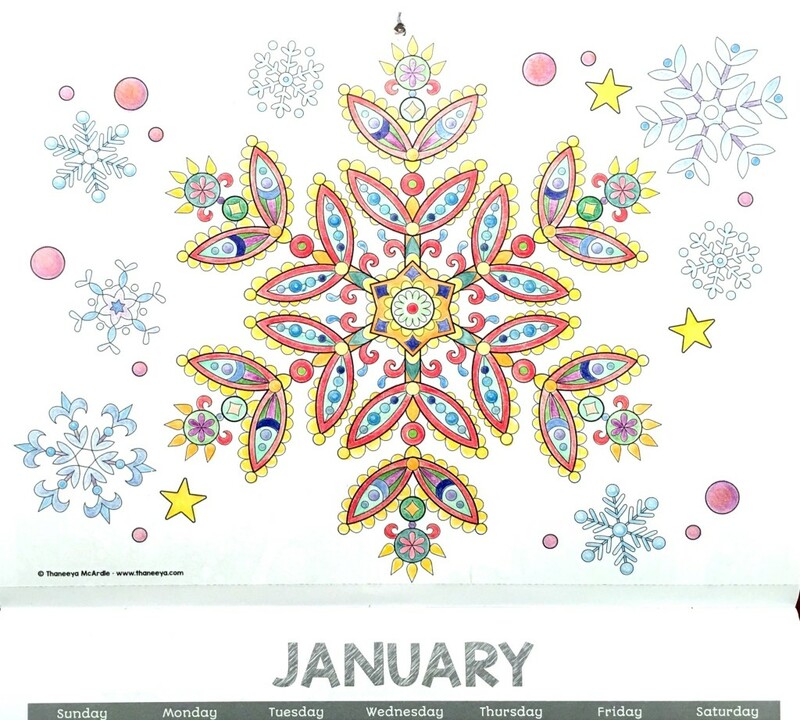 As we talked, she mused that what attracted her to coloring books may have been the freedom that comes from not having to create something from scratch. The coloring book already provides the outline – literally -, all you have to do is choose your colors and have at it. I could immediately relate to that. I’ve also recently started to think that playing the piano is much like a coloring book: there is the outline – the notes, the printed information in the score – which you can’t (shouldn’t) alter, and then you get to color, staying more or less inside the lines. I’ve also wondered how useful it would be to add a short coloring activity to my meeting with a new student: observe how they handle having to stay in the lines, how creative they can be within certain confines. I always explain to parents of especially young students that so much of what we do in the beginning has to do with learning to follow directions: if the score says E flat, and you play E natural, it will not sound right. If the rhythm consists of quarter and eighth notes, and you play everything as eighth notes, it will not sound right. Yes, music, making music, is a wonderfully creative process, but unless you want to play nothing but your own creations, you need to know how to follow rules. And if you want to learn, you need to be willing and able to follow directions. In the meantime, I enjoy the many coloring books I have acquired recently, bought at the store, or received as Christmas present from an observant family. I am also a regular at the local arts store where I buy my coloring pencils, one at a time, the exact color I am looking for. This entry was posted in Personal on January 18, 2016 by Sibylle. For me, teaching young beginners is like having a toddler around, or a puppy: cute, enjoyable, so much fun, and so incredibly much work. Lesson preparation has to be immaculate while the actual lesson requires utmost flexibility. I love it, but it tends to burn me out. So I have decided to accept only one or two young beginners per year. On my waiting list was a now 6 yr old girl who lives around the corner from me, literally across my backyard. Two weeks ago yesterday, we started lessons. Because she lives so close she comes every day for a short lesson. And I love it. We learn a tiny little bit something new, adding on every day. No pressure to cover more material to keep her busy for the next 3 or 4 days (normally, beginners come twice a week), no pressure to learn an entire song in one lesson. One day maybe 10 days ago, her younger sister spotted my rhythm instruments and rain sticks when they came into the studio. I could tell that both girls were curious, so we played around with different rhythm instruments and took turns making sounds with the different rain sticks. We didn’t really “learn” anything that day, we just explored, and if this had been a traditional lesson I would have felt bad for not really “teaching” something specific. But since I got to see her again the very next day there was no pressure to accomplish specific things. It feels beautifully and luxuriously relaxed. Because I get to see her every day right now, she is progressing much faster than the average beginner. And because there is so little time – just one day – for her to forget something she learned at a lesson, or to spend much time practicing something incorrectly, our lessons can focus on revisiting old and learning new things, rather than correcting or re-learning. Her attention span could definitely handle longer lessons, so in about a week we’ll move on to three lessons per week, later in the semester two lessons per week. 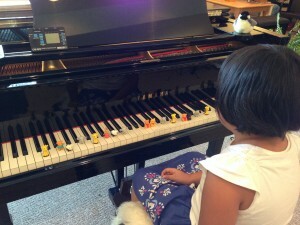 She already knows four songs (in different keys), is working on a fifth, and between playing all of her songs and working on theory concepts – musical alphabet, key names, finger numbers, beginning note reading – we run out of time with the shorter lessons. This entry was posted in Pedagogy on August 26, 2015 by Sibylle. This entry was posted in Events on July 19, 2015 by Sibylle. Last week, Jamey came to visit. He is working on Rachmaninov and wanted some advice on “how to fix some things”. This entry was posted in Uncategorized on June 29, 2015 by Sibylle. 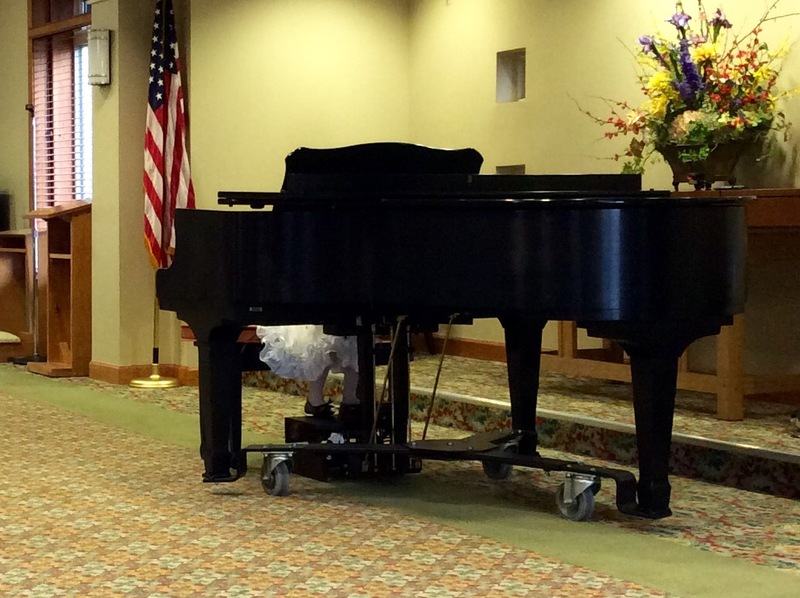 With very few exceptions – like the parent who texts at 10:30 p.m. – my piano parents are very respectful of the fact that I have a family, and I appreciate that they don’t take for granted that I am available outside of the actual lesson time. I don’t work on things related to piano studio in my spare time. A university professor does not spend all of his/her weekly 40 hours teaching – a full-time position assumes 18 contact hours, the rest goes toward preparation, evaluation, research, etc., but you wouldn’t call the 22 non-contact hours “spare time” just because the professor is not with a student. Likewise, I spend some of my business hours teaching, and some hours researching, preparing, evaluating, viewing and uploading lesson and performance videos to YouTube, communicating with parents and students via text or email, practicing, etc. Every so often I go to the piano store to check out a piano for a student, texting and emailing back and forth with the parent, sharing my thoughts on the piano, answering questions. This is not done in my spare time, it is part of my job. The difference to a 9 to 5, true 40-hour week is that my hours are very flexible. Most days I spend several hours on studio related stuff (in addition to teaching lessons), occasionally perhaps just 30 minutes, catching up on email and uploading a video. I work a lot in the evening after dinner, and most weekends, but I don’t consider those hours my spare time – I just happen to work well in the evening and on weekends. This entry was posted in Business aspects of teaching on June 8, 2015 by Sibylle. As the state budget is being debated in Topeka there have been many questions based on media reports about potential furloughs of state employees. Without an approved budget by the Legislature, there is no funding authority to distribute funds to cover the first pay period in Fiscal Year 2016, which begins June 7. If the Legislature comes to an agreement on increasing revenues and passes a budget by midnight Saturday, June 6, or if the Legislature passes a bill authorizing short-term expenditures for payroll by midnight Saturday, there will be no furloughs. The thought of a furlough is disconcerting of course, and many people are upset. But then again, this is what a lot of piano parents (would like to) do to piano teachers every summer. I am not talking about the case where teacher and student/parents mutually agree that the student needs a few weeks off from lessons, which can happen during the summer or during the school year, for whatever reason. Or there are teachers who grant their students a “summer sabbatical” every couple years. Or maybe it’s the teacher who wants to take the summer off. Some teachers then send their students to study with another teacher over the summer. 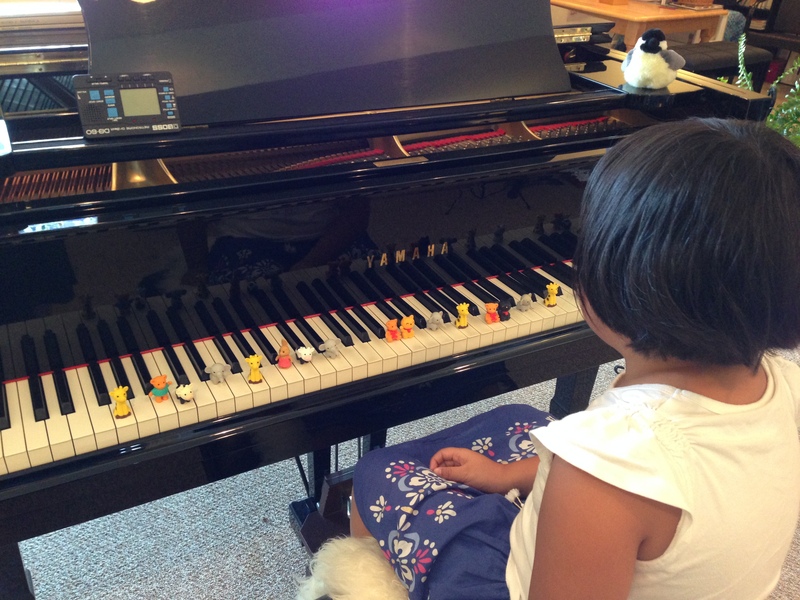 I am talking about parents who – despite their teacher having made it clear that piano study is a year-round activity – parents who announce that they are going to take the summer off to “save some money” and because the kids are so busy, and return in the fall for lessons. So the teacher is supposed to keep their spot open over the summer = not accept new students who might fill that spot. However, despite promises there is no real guarantee that the student actually will return in the fall. Utility companies have a base rate, regardless of usage. Even if I don’t use any water or electricity or gas while I am out of town, I still have to pay the base rate to keep the connection. If I disconnect I have to pay a reconnection fee. Any and all of these comparisons are flawed, of course. I also don’t think that any parent who announces that they are taking the summer off does so out of malice. And of course there is much more at stake than the teacher’s income when students take a ten-week break from lessons – especially when the parent promises, “We’ll practice on our own!” Oh God, please don’t. If practicing on your own worked, why are you taking lessons? This entry was posted in Uncategorized on June 2, 2015 by Sibylle. The local Music Teachers Association started last year to have a yearly Honors Recital. The idea is that each teacher selects one or two students and has them perform in a recital, along with other teachers’ students. After the recital there are pictures and certificates, mention in the newspaper I think. So, who gets to perform? Who is good enough to earn the honor of performing? How do you choose the student who is the best in your studio? Who represents your studio the best? You might as well ask me what food represents me best. Sure, there are teachers who have a “signature food”, a poster child, their star student. I don’t. I have a whole lot of students who are doing really well, as well as a couple few who are struggling, who are not even sure that they like piano. I do have a “bragging wall” where I display (copies of) certificates and awards my students have won at auditions and competitions. Most of my students are represented there. So, how do I choose which one or two get to perform at the Honors Recital? The one who plays surprisingly well for his/her age? The one who made the most progress over the last couple months? The one whose mother needs the certificate to show to friends and family how good and exceptional and wonderful her child is? Last year I selected one student, this year two. The students I ask are those who I think would benefit from a public performance outside of the piano studio. I choose students whose parents understand that I strongly dislike the notion of an exclusionary Honors Recital and that we are going to treat this as a performance opportunity that happens to have the unfortunate name “Honors Recital”. I am looking forward to the performances we plan to give at a retirement community, where all of my students get the honor of performing and sharing their love of music. This entry was posted in Uncategorized on May 31, 2015 by Sibylle. One of my former students, Anna, studied with me from when she was in Kindergarten until I went on sabbatical when she was in high school. She continued her studies with a colleague of mine and is now about to graduate from college with a degree in Piano Performance. As luck would have it, she was looking for an opportunity to practice-perform her recital program, and I wanted to offer a live performance to my group of 2nd graders. Knowing the ability of my 2nd graders to sit and enjoy about 20-25 minutes of music, but not much more, I requested that Anna perform two of her three recital pieces: a Mozart Sonata and Schumann’s Papillons. I wanted to allow time to introduce the pieces, and time for questions after her performance. My 2nd grade group had been studying Mozart’s Little Nightmusic, Haydn’s Surprise Symphony, and Beethoven’s Fifth, and were thus familiar with multi-movement works. I thought the Schumann would be a lovely contrast to the Mozart Sonata, both in form and character. In addition to students and their parents, Mark and I also invited Dr. David Littrell with whom Anna had studied orchestra. And Jamey, another former student who occasionally comes back to play for me. This entry was posted in Events on April 21, 2015 by Sibylle. It’s one of the relatively few things I am really good at. 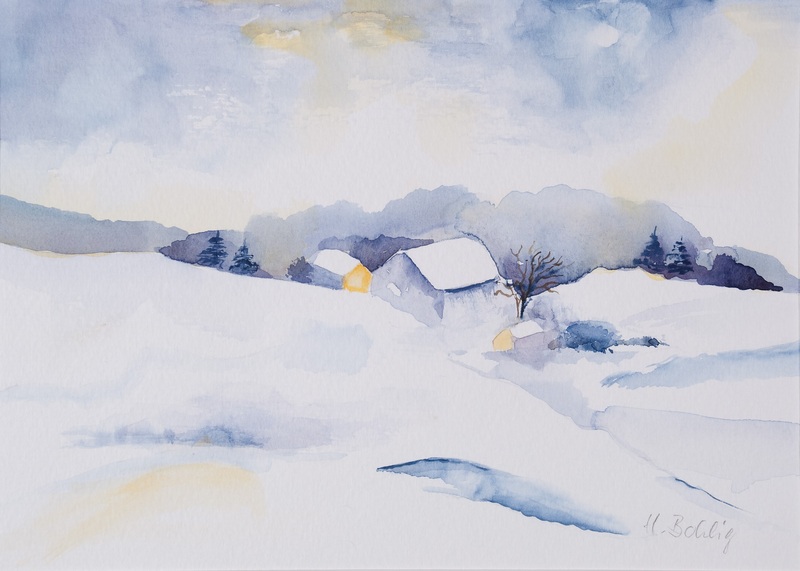 During my sabbatical several years ago, I was unable to find enough students to have a “studio” and it was the combination of not being able to find students and not being able to teach (much) that depressed me. I would love to teach all the time. I never say no when the opportunity to work with a student arises. Which becomes a problem when I forget that even with the best job in the world, I need time off. Time to renew, rejuvenate, time to be away from it all. Years ago, I learned to guard breaks such as winter and spring break, or the week after Memorial Day when I don’t teach, jealously. I learned that I do need this very definite unstructured time of no lessons. Not because I am sick and tired of teaching or because I feel I need a break, but because I need the distance. I need, and cherish, the “nothingness” on the calendar. Breathing space. There were times when I gave in and taught “just a few make-up lessons” during a break and I always regretted it. I don’t know if it’s a case of “absence makes the heart grow fonder” or simply the need to step back from it all, remove myself for a week or two, look at things and teaching issues and students from a distance and then return to teaching with renewed energy. Whatever the reason, I have learned to say No. Well, kind of. A few days before this year’s spring break, a former student contacted me to see if I had some time to go over some music and theory with him. How can I say no to the opportunity to work with Jamey? Wednesday afternoon we spent a delightful, intensive, productive two hours taking parts of Liszt’s Liebestraum apart, working on technical issues, interpretation, and discussing theory, jazz, improvisation, and more. Over the course of this spring break week, in addition to working with Jamey, I had medical appointments and an appointment with our accountant; we had to be home to meet with the irrigation guy to go over how to set up the spring irrigation schedule; we were expecting a call from the insulation people about working on our attic – none of it big, but all of it things on the calendar. Something nearly every day. It had seemed like a good idea to use spring break when my afternoons are free to do some of the things that might be more difficult to fit into my schedule when I teach. But it made spring break less of a break. I realize that I live a very privileged life. A very first-world life, with first-world problems and solutions: doctors, accountants, irrigation and insulation experts. But I am an introvert. In order to be there for my students, I need time to myself. Unstructured alone-time. Lots of Nothingness on the calendar. Next break, I’ll do better. This entry was posted in Personal on March 21, 2015 by Sibylle.